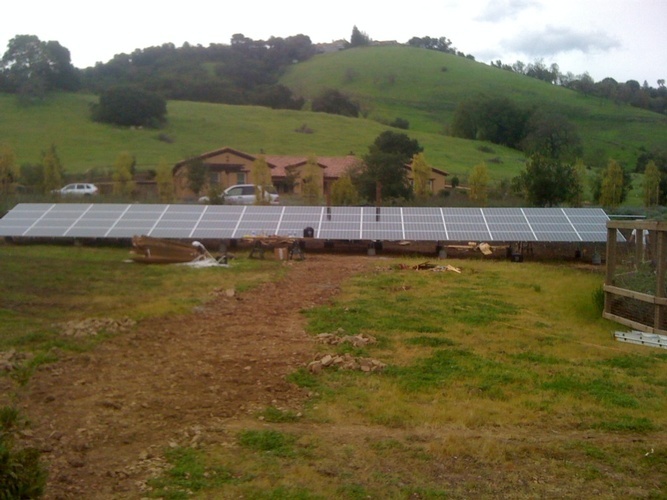 Backside view of 13kW ground array. 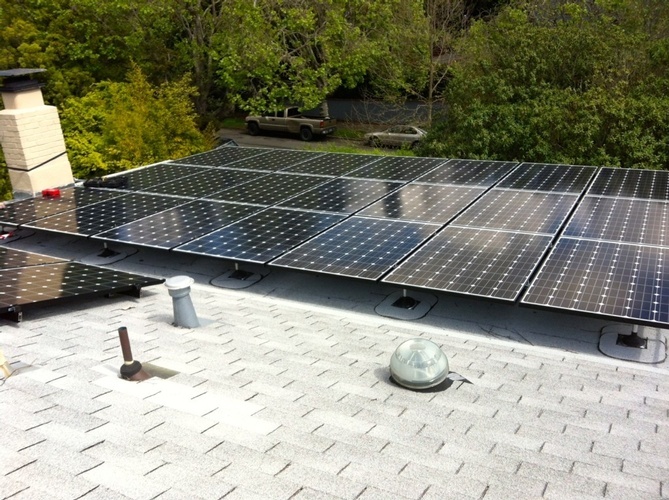 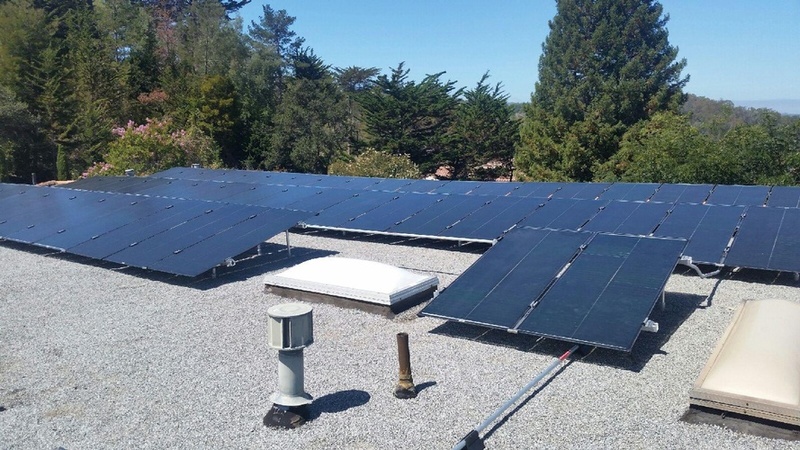 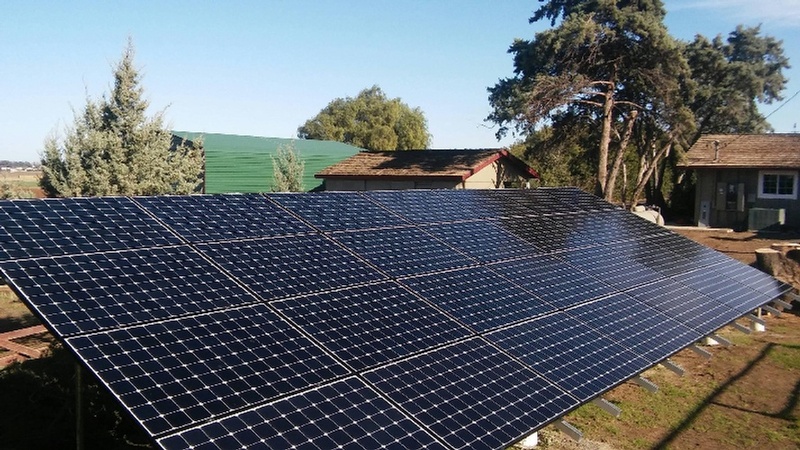 12 kW, Los Gatos, CA. 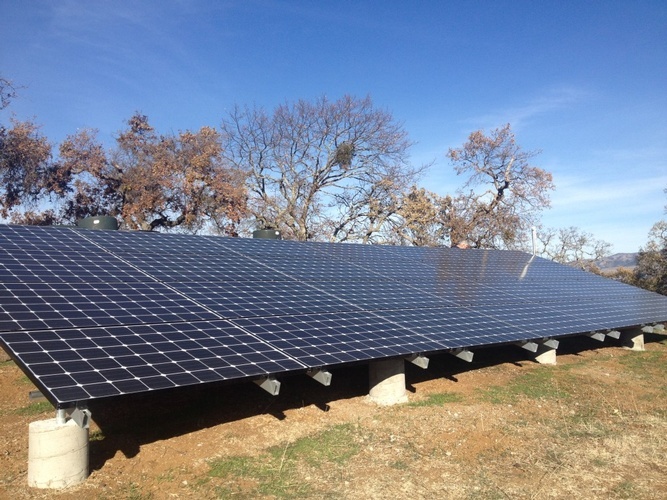 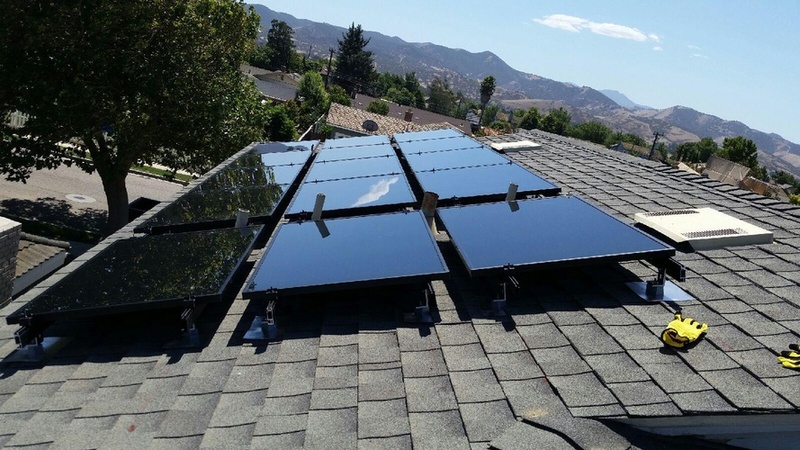 7 kW, Morgan Hill, CA. 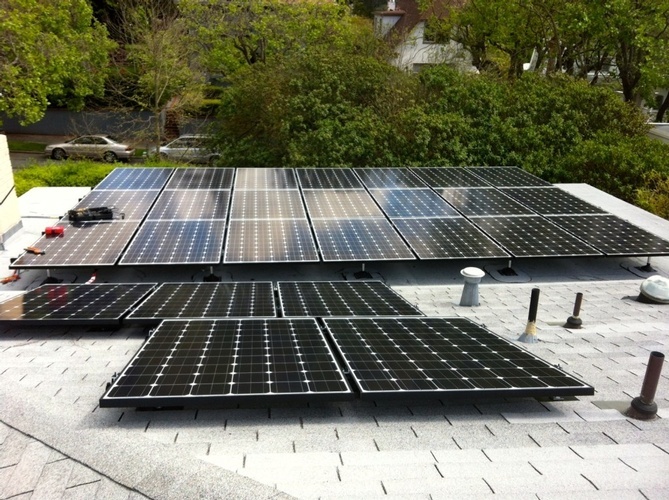 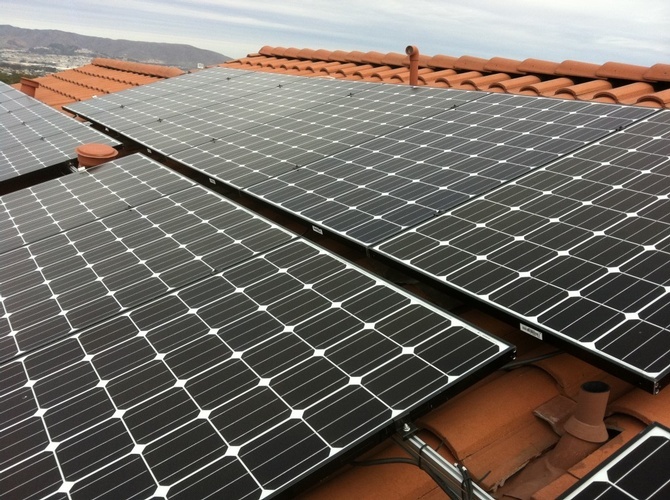 9.1 kW rooftop array. 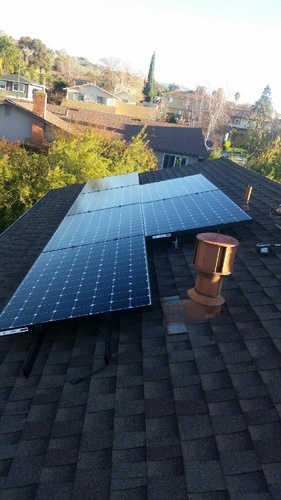 Palo Alto, CA. 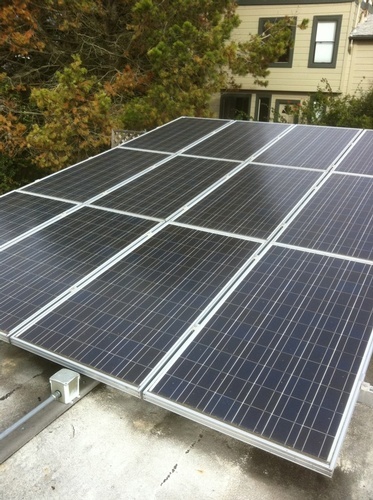 (35) LG, 265 watt, black modules. 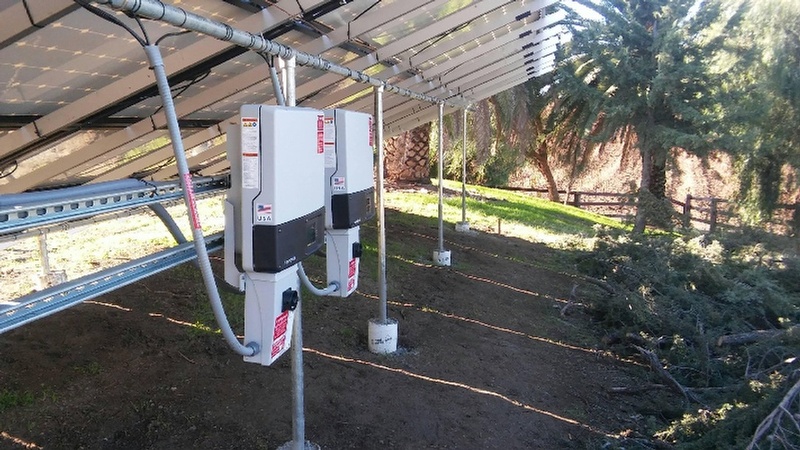 (35) Enphase, 250 watt microinverters.